Your opinion matters. Leave your review of Women's Resource Center Shelter. Description: The Womenâ€™s Resource Center offers safe secure shelter in a turn of the century home in downtown Racine. Safe shelter is also available on the west end of the county through a collaborative effort with TLC Burlington. Male victims or victims with extenuating circumstances are offered motel vouchers. The Racine shelter, run by Womenâ€™s Resource Center, is an eight bedroom, 32 bed home with plenty of community living spaces. 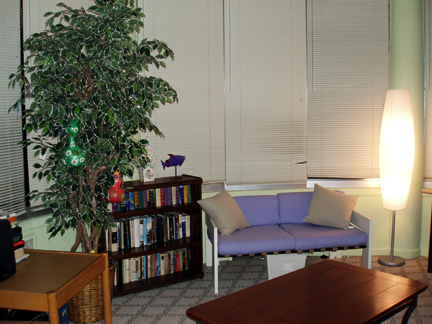 Meditation rooms, sun porches and quiet nooks welcome families to the healing and peace within our shelter walls. The Cynthia Murphy Wholeness Wellness Room has exercise equipment and other physical health activities. Large living rooms and plenty of open spaces are available for kids to do homework or families to gather to spend social time together. Shelter life can never be like home, but WRCâ€™s shelter offers a comfortable and welcoming atmosphere. Shelter advocates are available every hour of every day to welcome new residents and to support those staying with us. Shelter advocates provide healing opportunities in a trauma informed way, understanding that each victim has their own way of regaining strength and empowerment. Shelter advocates also provide support to families in reaching their goals to achieve a lifetime free of abuse. In addition, WRC offers counseling for adults and children, holistic healing services, legal advocacy and assistance with referrals for other community resources to all shelter residents. Approximately 350 women and children flee to WRCâ€™s shelter each year. A typical stay is about 45 days. If you are a victim of domestic or sexual violence and are in need of emergency services, please call our 24-hour Crisis Line: 262-633-3233. Do you have items to donate? Contact Women's Resource Center Shelter at the phone number provided above to see if they can use any items you may have to donate.